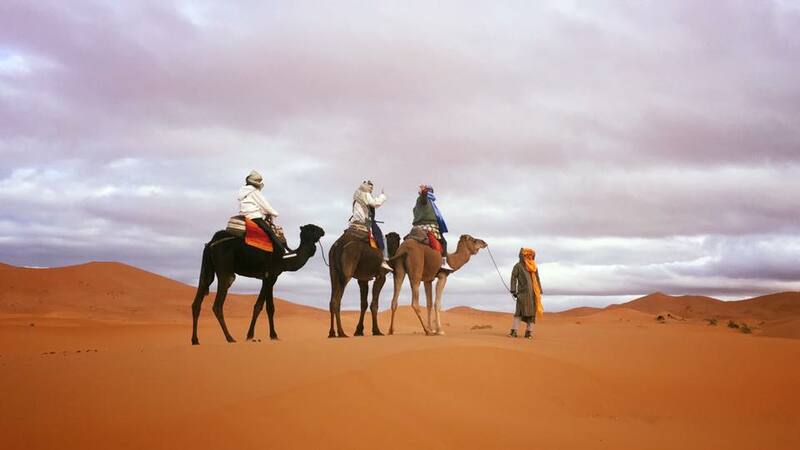 Enjoy Morocco team organise Casablanca private tour with experienced drivers and local friendly guides. 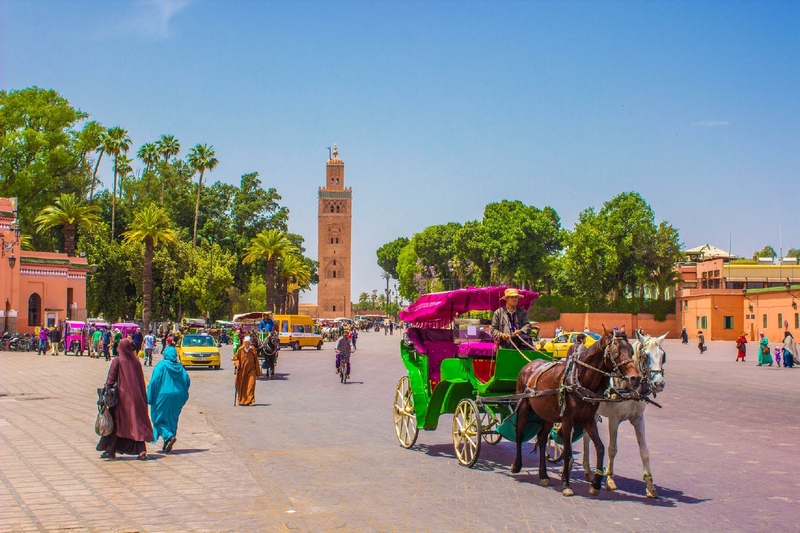 After breakfast, our Private and individual Tour in Morocco starts with hotel pick up and then we visit to the old medina; we explore Mohamed V sqaure and United Nations Square. You will explore the impressive Hassan II Mosque , which is the second largest mosque in the world. Then we continue to Rabat, capital to visit best of the old medina , you will explore Kasbah of the Oudayas in ½ days city excursion. We will visit Hassan Tower and then we head to Chellah, and the Mohamed V Mausoleum. After finishing the Rabat excursion we drive to Meknes, former Imperial city founded in the 9th century. We visit the old ramparts; also the Moulay Ismaïl stables, and famous Bab El Mansour. This is really one of the most beautiful gates in Morocco. Then we travel to Volubulis to explore Roman ruins , with local guide. We continue to Fes for overnight stay. Today we explore best of Fes,most religious city in Morocco. The guided tour includes the exploring the old and new medinas, we visits to the religious schools (called medersas). We visit then famous Attarine fountaine and local souks in old medina of Fes. We stop at impressive Bab Boujloud,we walk near The Royal Palace and later afternoon we return to the hotel or riad in Fes. Today our Private 6 Days desert tour from Casablanca continues with driving in the Middle Atlas Mountains , we visit Ifrane ski resort, then Azrou cedar forest and Midelt. We travel towards Erfoud via Eraachidia. We reach Merzouga from where we start our camle ride to Berber camp on the edge of the Erg Chebbi Dunes. We experience desert sunset, after dinner we listen Berber songs in desert followed by overnight at your comfortable camp. Today we start another day for Private and individual Tours from Casablanca and after camel trek and desert sunrise over the dunes we travel towards Tinghir. You will visit Tinijdad, Then we hike in a magnificent palm grove, at Todra Gorge. This are is famous for rock climbers and after lunch here we continue into the Dades Gorges via Boumalne Dades. After having dinner we stay overnight at kasbah or hotel in Gorge Dades. After breakfast we explore bets of Dades Gorges, we travel to Kelaa Mgouna and we visit best places of Valley of Roses. You will walk in Skoura famous for its palm trees. We continue to Ouarzazate to explore The Kasbah Taourirt, which served as the home of the Pacha Glaoui. The you drive towards Marrakech with a stop at the ancient Kasbah of Ait Ben Haddou. This is an impressive 11th century ksar - UNESCO site. We drive over High Atlas Mountains crossing the Tizi N’Tichka road pass to reach Marrakech. Today our 6 Days desert tour from Casablanca finishes but first we explore best of Marrakech with local guide. We visit Menara Gardens, then we explore medina with its Koutoubia Minaret, and you walk to nearby Saadian tombs. You do not miss a visit to the Bahia Palace with its lush Moorish-style courtyard garden, in the afternoon you will walk in narrow streets of local and famous Jemaa El Fna Square. After enjoying full day of excursion to best places we transfer you to the airport or tyo hotel in Marrakech.